However, when you compare the teeth and digestive systems carnivores, omnivores, and herbivores, what emerges is the truth that, anatomically and physiologically, we share little in common with carnivores and omnivores, and that we in fact have the classic characteristics of herbivores. In this post we will delve deep into the controversial topic of omnivore vs. herbivore. But first, let’s examine what herbivores, omnivores, and carnivores are. Because I don’t recall hearing discussions about what these terms meant growing up. The first time the word “herbivore” began to have any meaning for me was right after I became vegan and I learned that humans’ anatomy was actually best suited to eating plants. Carnivores are animals that get all of their nutrients and calories from consuming the flesh of other animals. Some examples of carnivorous animals include lions, tigers, cougars, foxes, coyotes, hawks, vultures, whales, sharks, and dolphins. Omnivores are animals that get their nourishment from both plant and animal sources. Some examples of omnivores are bears, dogs, pigs, raccoons, badgers, opossums, rats, mice, crows, swans, and seagulls. Herbivores are animals that are evolved to eat plant foods as their primary source of nutrients and calories. Some examples are elephants, rhinos, giraffes, hippos, rhinoceroses, horses, deer, sheep, koalas, cockatoos, mackaws, and parakeets, and parrots. Primates – our closest relatives in the animal kingdom – also fall under this category. Gorillas, orangutans, chimpanzees, and bonobos eat plants 95-99% of the time, the rest being termites or other insects. 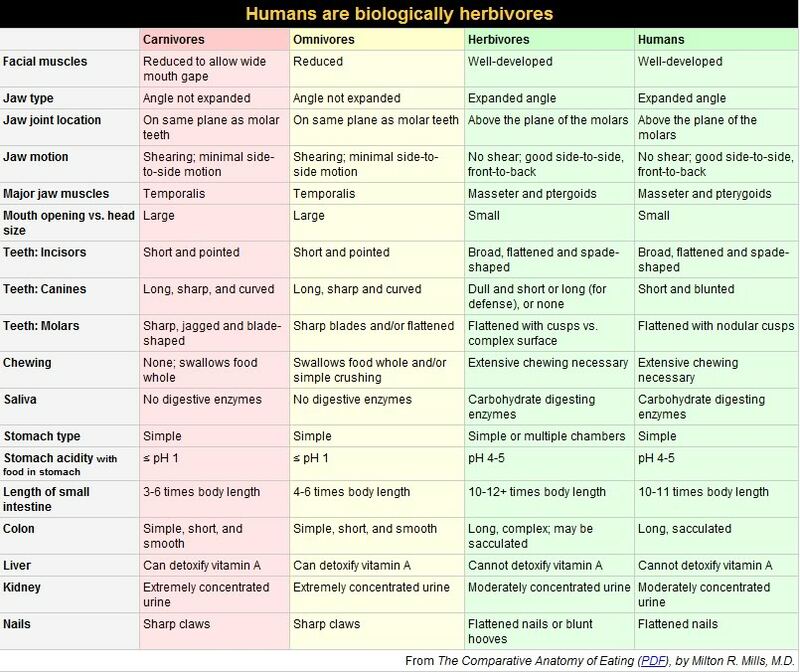 There are many charts circulating on the internet comparing the physical characteristics of carnivores, omnivores, and herbivores, and they all essentially convey the same paradigm-shattering idea: that humans are not omnivores, but herbivores. Here is one from Dr. Milton Mill’s paper The Comparative Anatomy of Eating. And by the way, he has a great presentation available on YouTube in which he explains these differences. Carnivores and omnivores have paws with claws – which anyone who’s ever been scratched by a dog or cat knows can be quite sharp. These sharp claws enable them to dig into and capture their prey easily. Like primates (herbivores), we humans have hands that are conducive to plucking vegetables and fruits. Carnivores and omnivores have a large mouth opening relative to the size of the rest of their head. Their jaw joint location is located on the molar plane (i.e. aligned with their teeth). Herbivores and humans have a small mouth opening relative to the size of the rest of our heads. Our jaw joint location is above the molar plane (i.e. above our teeth). Carnivores and omnivores have canine teeth that are long, sharp, and curved. Herbivores’ and our canine teeth are short and blunted. Carnivores and omnivores have incisors that are short and pointed. Herbivores and our incisors are broad, flattened, and spade-shaped. Carnivores and omnivores have molars that are sharp, jagged, and blade-like. Herbivores’ and our molars are flattened with cusps. Carnivores and omnivores have a jaw that moves up and down in a shearing motion, and does not have the ability to move side to side. They can swallow their food whole. When herbivores and humans eat, our teeth move back and forth in a lateral (side to side) motion that allows us to crush and grind our food. Unlike carnivores and omnivores, we must extensively chew our food before swallowing. On a scale of 1 to 14, 1 being acidic, and 14 being alkaline, carnivores and omnivores’ stomachs have a pH of less than 1 when they have food in it. This allows their bodies to break down the decaying flesh as fast as possible. Herbivores and humans, on other hand have a stomach pH of 4 to 5 with food in it. Carnivores and omnivores have an enzyme called uricase that help them to break down the uric acid that consuming meat creates in their bodies. Humans do not have uricase. Herbivores and humans have carbohydrate digesting enzymes, which allows us to assimilate the nutrients from plant foods. Omnivores and carnivores do not have carbohydrate digesting enzymes. The small intestine of carnivores and omnivores is 3-6 times their body length. The small intestine of herbivores is 10-12+ times their body length. Our small intestine is 10-11 times our body length. There are many more distinctions demonstrating that humans are natural herbivores. These are just some of the more obvious ones. I would recommend checking out the videos I include at the end to learn more about these in depth. 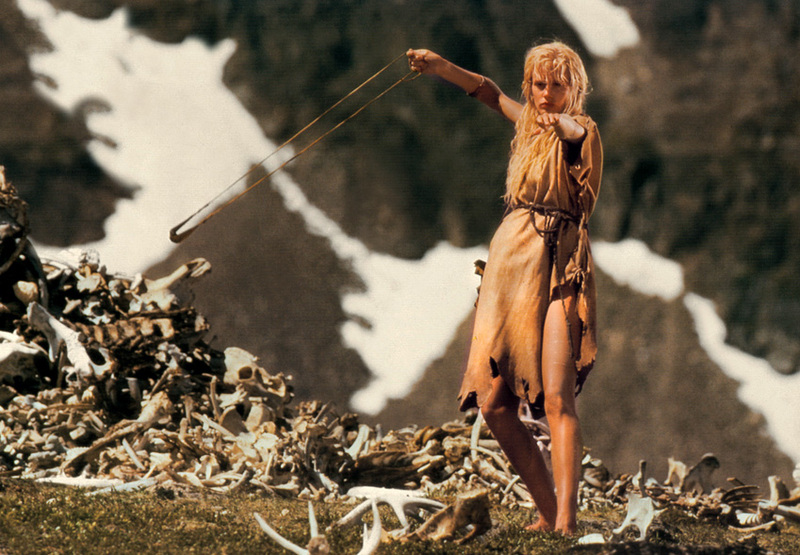 We do have evidence that primitive man, being opportunistic, ate some meat. But as biological anthropologist Dr. Nathaniel Dominy explains in an interview, meat was such an unreliable source of food for humans that it did not constitute a significant part of our diets until recently. Therefore, the possibility that meat played a role in the massive quantum shift in human brain evolution is slim at best. We know this because humans still retain the anatomy and physiological characteristics of herbivores. So if we’re not designed to consume animal flesh, what is the effect that our heavy consumption of meat having on our bodies? Essentially, the effect is a travesty of epic proportions that can be summed up in the word disease. Specifically, “diseases of affluence” or “Western diseases / diseases of the West.” These health problems are referred to as such because they were virtually nonexistent prior to the late 19th century when humans in modern, industrialized countries switched from a plant-based diet to an animal-based diet. The fact that African people did not have the same sorts of health issues we see in the West corroborates Dr. T. Colin Campbell’s findings which he published in The China Study. Starting in the early 70s, Dr. Campbell took part in the China-Cornell-Oxford Project in China, the largest and most comprehensive nutrition study ever undertaken, over the course of 20 years. In the study, they compared the health markers for people living in the city areas of China to those living in rural diets. Those living in the urban centers had the resources to consume a more Western diet, heavy in meat and dairy. Those living in rural areas, on the other hand, only had access to vegetables and grains for the most part. The findings revealed that the people in the rural areas, consuming a mainly plant-based diet, did not suffer from chronic degenerative diseases. By contrast, the people living in cities had the same health issues – heart disease, cancer, and so on – that Americans had. Dr. Campbell’s research should have been hailed as nutritional and medical breakthrough, but it was so subversive to the status quo that he was exiled by the medical community. Still, the pharmaceutical-medical complex’s efforts to discredit his work did not hinder Dr. Campbell’s commitment to educating people about the truth. In addition to continuously speaking around the country and abroad, Dr. Campbell has been featured in several documentaries, and stars in the documentary Forks Over Knives. Why is it that made people in Asian and African rural communities, up until recently, lived longer? A good way to think about it is to consider how markedly different ethnic food restaurants are from typical American fare (hamburgers, pizza, ice cream). “Ethnic” food: Mexican, Chinese, Japanese, Asian, Thai, Ethiopian, and Indian, to name a few kinds is mainly plant-based. This is why there are always so many more options for vegans at these kinds of restaurants than at regular restaurants, where there are usually none. In these cultures, their diet consisted mostly of vegetables, herbs, beans, and grains up until very recently. Meat, if consumed, was used sparingly or on special occasions. In Europe prior to the 19th century, the dishes may not have been as flavorful and interesting, but it was primarily plant-based all the same. Think of borsht (beet soup) in Russia, ratatouille (stewed vegetables) in France, colcannon (mashed potatoes with kale or cabbage) in Ireland, spaghetti with tomato sauce in Italy, and hummus and pita bread in Greece. It’s true that people did not live as long. Women often died in childbirth, many children didn’t live past age five, we didn’t have the cures for infectious diseases we now have, and we didn’t have as much sanitization. On top of that, life was just much more difficult for a variety of reasons. That said, while people were alive they did not have the same chronic, degenerative diseases that we now see today. Animal products are acidic. Human blood needs to maintain a slightly alkaline pH of about 7 to function optimally. When we consume too much acid, our body needs to find a way to neutralize it – so it often can pull calcium and phosphorous from the bones, leading to osteoporosis. Clogged arteries or atherosclerosis is really a term to describe the buildup of plaque inside the coronary arteries, restricting blood flow. This accumulation of plaque comes primarily from cholesterol and saturated fat. Plant foods have no cholesterol and very little saturated fat. The average cholesterol level in the US is 210, but the average cholesterol level of vegans in the US in 135. Humans do not need to consume cholesterol because we make our own. What’s referred to as “good cholesterol” is actually just the cholesterol that we ourselves make. Many doctors such as Dr. Caldwell Esselstyn, former chair of the Cleveland Clinic and author of Prevent and Cure Heart Disease, have proven that heart disease can be reversed when we adopt a plant-based diet. Whereas right now, heart disease kills 7 million people per year or 1 person every 4 seconds, heart disease would much less prevalent in a vegan world. The negative effects of consuming an animal-laden diet do not stop here. Because when we eat animal products instead of plant foods, we miss out on a lot of beneficial stuff. Plant foods have fiber; animal product do not. Unlike omnivores and carnivores, herbivores and humans have very long intestines. We need fiber to clean and basically scrub the walls of our small intestine which is long and sacculated. Our small intestines have finger-like hairs called villi, which help to absorb nutrients and give it the overall surface area of a tennis court. But when animal products are consumed, a fatty film builds up on the walls on our small intestine and our colon. Over time, this fatty film becomes thick, and our small intestine can’t properly absorb nutrients. Our colon, also coated in this fatty film, becomes a breeding ground for disease, and can potentially facilitate the growth of cancer. Plant foods are rich in phytochemicals and antioxidants; animal products aren’t. Phytochemicals (chemicals in plants) and antioxidants in particular neutralize the free radicals in our bodies, which can weaken our body and immune system. Dr. Richard Cutler, the former director of Anti-Aging Research at the National Institute of Health, says, “The amount of antioxidants we maintain in the tissues of our bodies is directly proportional to how long we will live.” If we eat meat and dairy instead of plants, we ensure that we won’t be reaping all the benefits of an antioxidant-rich diet that could increase our vitality and longevity. Our bodies know the precise weight our bodies need to be at to function at an optimal level. However, it doesn’t know what to make of fuel we put into ourselves that are not compatible with our physiology. So if we’re eating something we shouldn’t have been eating in the first place, our bodies can’t tell us “stop now” or “that’s enough.” What’s more, our bodies are continually in a state of micronutrient-deprivation, so we feel the urge to constantly eat. 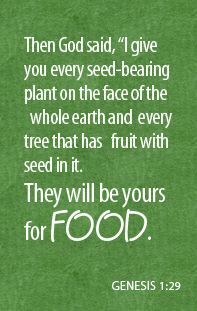 When we consume whole plant foods, on the other hand, our digestive systems get to work with the fuel they know best: fiber and phytonutrients. One thing I started to grasp almost immediately after going vegan, without knowing much about nutrition at the time, is that plant foods get metabolized much differently than animal products. I found that I had more energy and fewer cravings in between meals, and that I could eat a lot more food than I had before without gaining weight. Contrary to what mainstream medicine would have us believe, most diseases are not set in stone by genetics – they are mainly determined by diet and lifestyle. Many doctors advocating a plant-based diet including Dr. T. Colin Campbell, Dr. Joel Furhman, Dr. Michael Greger, Dr. John MacDougall, Dr. Dean Ornish, and Dr. Neal Barnard, strongly believe we need to switch from a pharmaceutical-centered healthcare system to a nutrition-centered healthcare system. In the documentary Forks Over Knives, Dr. T. Colin Campbell hypothesizes that we would cut healthcare costs by 70 to 80% if everyone were to adopt a plant-based diet. The reality is, however, that there are many vested interests at stake which make promoting plant-based nutrition difficult. The pharmaceutical industry, health insurance companies, and hospitals benefit financially from the model of treating disease symptoms. As corrupt as it may seem, sick people are big business. This isn’t the fault of individuals per se, but an inevitable consequence of the fact that corporations have only one obligation, which is to improve their bottom line. 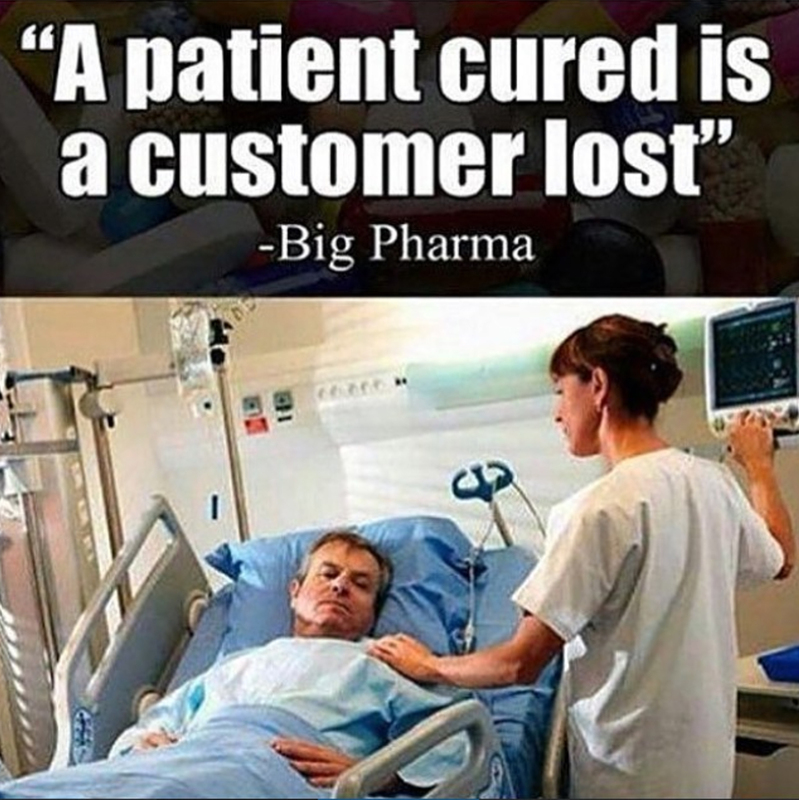 And because a radical shift towards preventative medicine would annihilate their business model, the pharmaceutical-medical complex will do whatever they can to keep things the way they are. Nonetheless, a good portion of doctors prioritize patient health over their perception of job security. And as they see the benefits and potential of plant-based nutrition, many doctors are paving their own path, one that is separate from the rigid dogma of the current medical system. Note: this is why using dogs in studies on heart disease never work! And yet, doctors and scientists have perseverated with this inane line of questioning. Raw animal flesh, organs, intestines, and blood are aversive to most humans. And yet, this is how actual carnivores and omnivores eat their prey. Even if we did want to eat raw animal flesh, we wouldn’t be able to kill the animal without implements. When we encounter an animal in the wild, our instincts are not to go up to it, attack it, and eat it. 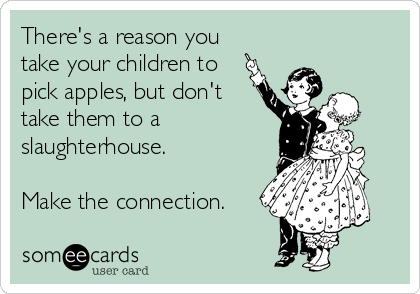 On the other hand, we are naturally attracted to vibrant vegetables and fruit. Getting back to the science, I leave you with some videos by doctors and researchers persuasively demonstrating the concept that humans are herbivores. And if you haven’t already, be sure to watch the documentaries Eating and Forks Over Knives. 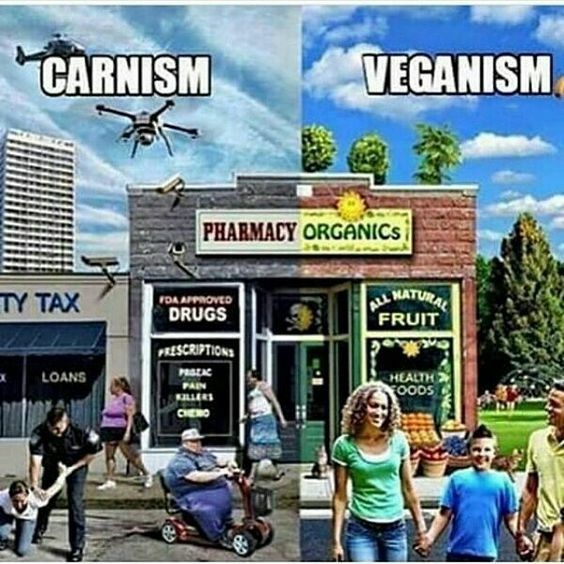 Those are the two main ones I recommend, but there are many others including PlantPure Nation, Food Choices, and Eating You Alive. You might want to recheck your PH scale its suppose to be from 1 to 14 not 1 to 10 also the bodies ph level of 7.35 to 7.45 could barely be considered basic and would be more accurately considered neutral. Hello! I really enjoyed this article and I 100% agree that humans are herbivores and am vegan myself. I do however have one question that I don’t know if you’ll be able to answer or not, but I’ll ask anyway. I read the article that you linked to that was written by Dr. Milton Mills and I noticed that he used bears as his example for omnivores and used their anatomy to categorize omnivores which does resemble a carnivores, but what about omnivores that are more anatomically closer to herbivores? Like pigs who have hooves and longer intestines or even chimpanzees are considered omnivores (although meat makes up less than 5% of their diet so perhaps it is our categorization that is incorrect) and they have blunt nails and mostly flat teeth? Of course I’m not asking these things to justify people consuming animal products at all, but I’m just curious about the accuracy of the omnivore category. Great question! 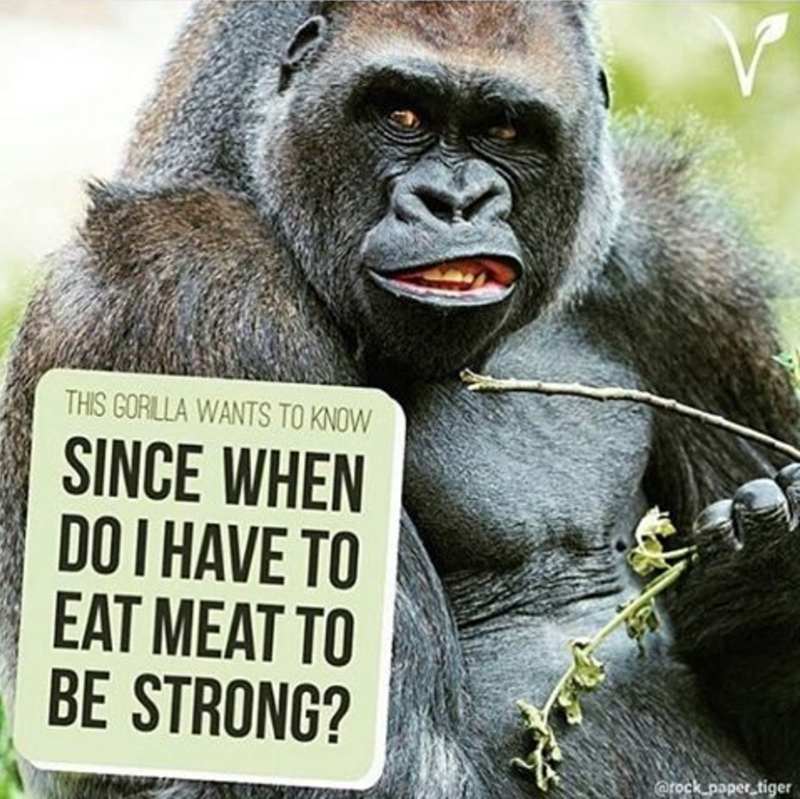 I suspect that the cases of omnivores that have physiological characteristics of herbivores, as well as omnivorous animals whose diets consist predominantly of plant material, may warrant further observation and analysis given the biases and cultural conditioning of the researchers. Because we generally consider ourselves to be omnivores, when in fact we more closely resemble herbivores, my sense is that we can have a tendency to magnify the carnivoristic eating patterns of animals to help rationalize our own animal-rich diet. In the instance of chimpanzees, there is a common misconception that they eat other primates (colobus monkeys) all the time. However, according to studies, on average they only eat meat about 9 days out of the year which is about once every 40 days. As for pigs, we don’t necessarily know for sure what they would eat if left to their own devices since they are a domesticated species. That said, studies indicate that the wild boar – the species that they were selectively bred from – has a diet of 90% plant food, the rest being animal-derived (such as eggs or lizards). Perhaps one day scientists will come up with a distinct category for animals that are a hybrid between herbivores and omnivores to help us understand these differences more clearly.